“R&D-challenges on the way to 95g CO2/km and lower” – this was discussed by visitors from industry, research and policy at the Tech Gate Vienna from 9 to 10 of November 2015. Under the motto “Eco-Mobility 2025plus” the Austrian platform A3PS (Austrian Association for Advanced Propulsion Systems) invited national and international representatives from industry and research to a two-day conference in the federal capital. The focus was on the latest trends, strategies and concepts for future-oriented vehicle technologies, alternative powertrains, alternative fuels and the rapid elimination of the corresponding market barriers. Among the participants was Dr. Werner Rom, head of the area “Integrated Vehicle Development” and the official A3PS representative of the VIRTUAL VEHICLE. As coordinator of the EU project EU-LIVE he presented the main objective of the project: the efficient, cost-effective design of the widest possible range of electrified light vehicles for future urban mobility. The presentation significantly enriched the conference, which is traditionally highly focused on the automotive sector. Additionally, Werner Rom led the track “Advanced Powertrain Integration Technologies” as Session Chair with presentations by AIT, ANDATA, Magna and Samsung. 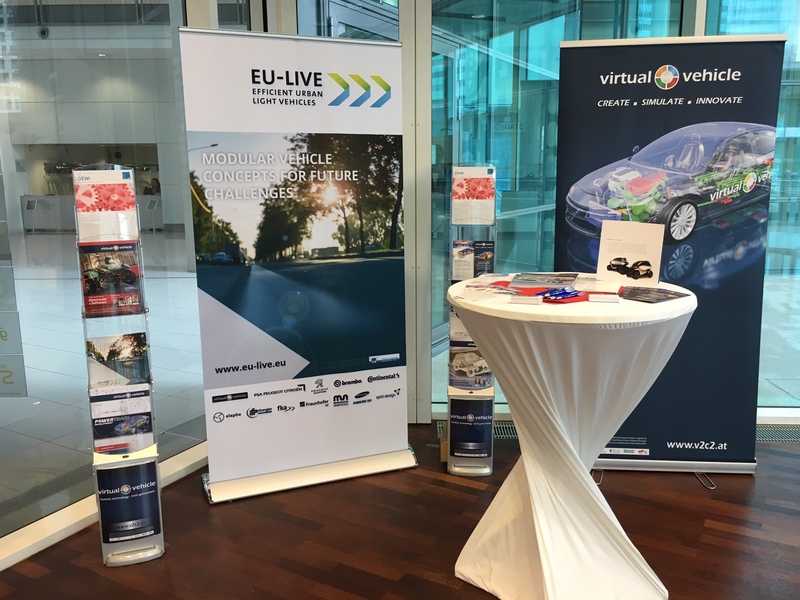 In the conference accompanying exhibition, EU-LIVE was also prominently represented: A booth with information around EU-LIVE attracted many interested visitors.